Dower and Hall's Wild Rose collection is designed with a romantic feel and with love in mind. The collection is feminine and subtle with a statement twist so there is something for everyone. Wild Rose has been designed to represent the country gardens with floral styles. 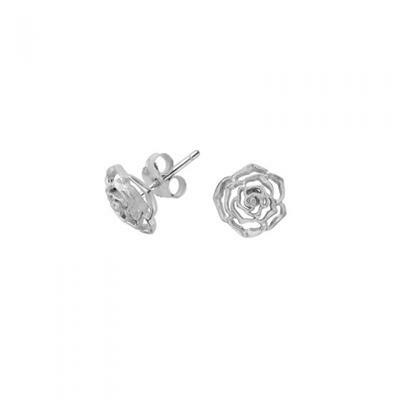 The Dower and Hall Sterling Silver Wild Rose 10mm Stud Earrings feature beautiful 10mm roses suspended on posts with butterfly fastenings. These earrings are a stunning addition to any outfit and are a perfect gift for her. The stud earrings are 10mm and are made from Sterling Silver. The earrings feature an openwork floral design.